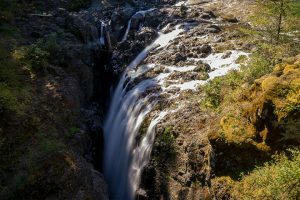 This week on our chasing waterfalls series we are headed North of Nanaimo towards Parksville about a 2 and a half hour drive from Victoria BC to Englishman river falls. The falls are a short drive from the parking lot through lush second-growth and old-growth Douglas fir, cedar, hemlock, arbutus and maple forests. The first falls you will come to is the upper falls which even in the dry summer roars down through a narrow rock canyon on one side of the bridge and on the other side of the bridge are serene waters. A slightly longer and enjoyable hike through well groomed paths with stairs and railings leads to the lower falls. The waters here are a gorgeous blue and crystal clear. They would be ideal for swimming in the summer heat. There is a rock that sits in the center of the lower falls that looks like mother nature´s fine art. This park is definitely worth the trip from Victoria. We will be back and are interested in checking out the campground as well. 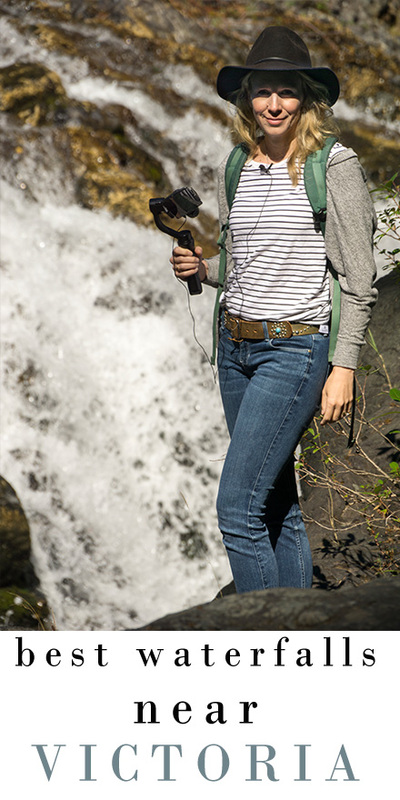 More details on camping at Englishman River Falls can be found here.